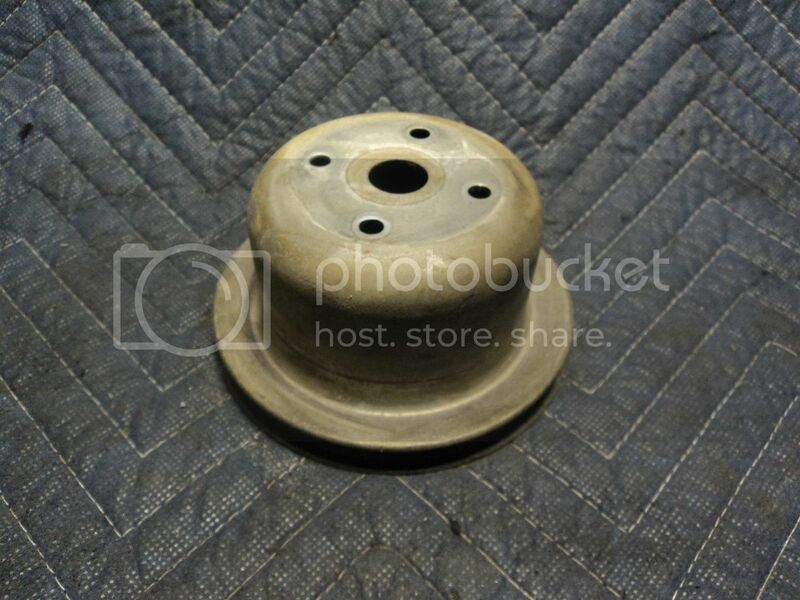 I've got a question concerning water pumps for early B19-engined cars with a "fixed fan" (ie no viscous coupling). Pumps for later cars with a viscous fan have a different part no, and my question is whether or not the two pumps are interchangeable. 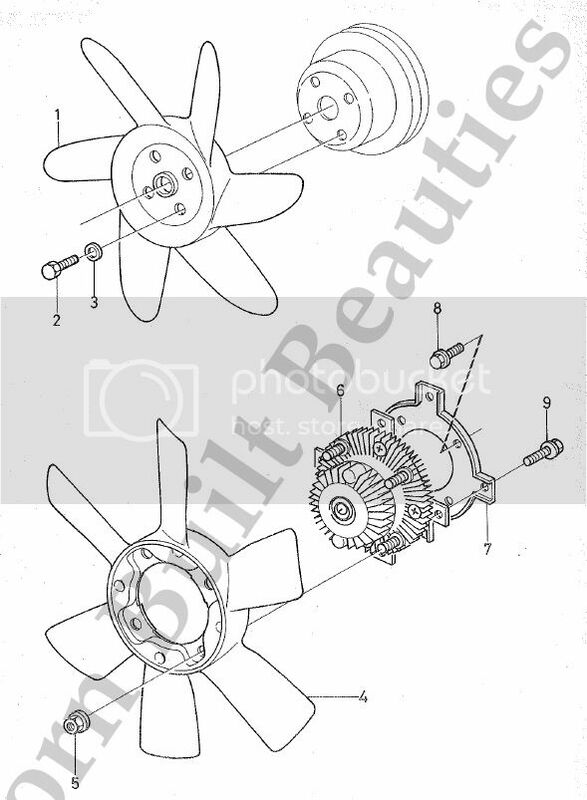 Basically, would a later B19 water pump fit my 1982 DLS even if it has the earlier fixed-fan type? 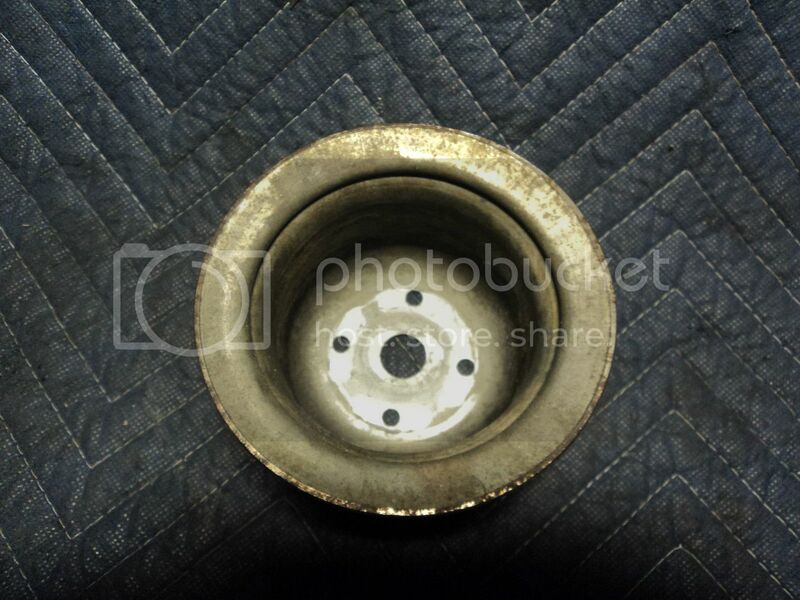 Could the bolt pattern be different? Last edited by trabitom99 on 25 Sep 2015 09:03 am, edited 2 times in total. A couple of years ago I changed the pump on my green (1983 fixed fan) GLS without even even knowing that there was any potential difference. 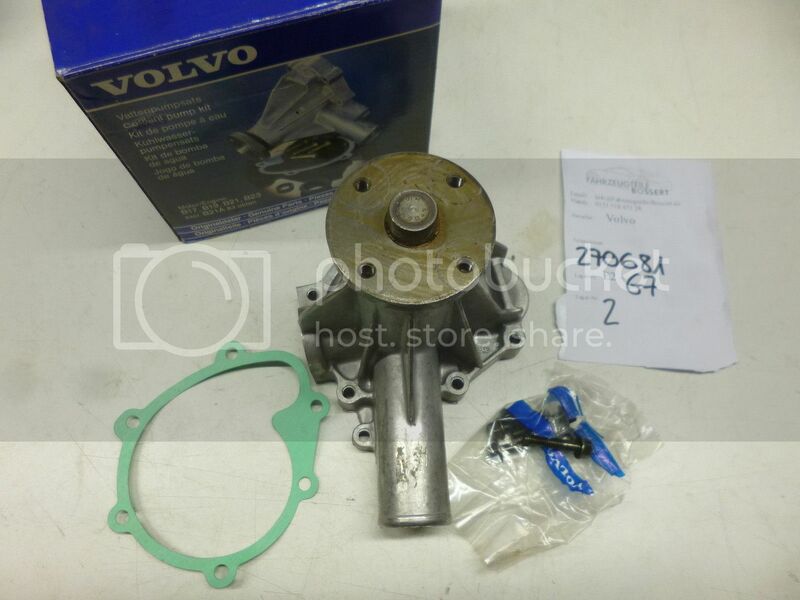 I bought the pump from someone at the Volvo Show and fitted it with no problem. I've just bought a pump off ebay for my other GLS (Gold one with viscous fan). I'm going to change it soon as the old one is noisy. I didn't realise that are any issues with this. I'll soon find out if I'm not lucky second time around! I can't imagine that there would be any problem as I don't see them advertised as for one or the other fan type, just B19. They seen to fit other engines too. Transit Tipper 125 T350 (02)Alive Again! 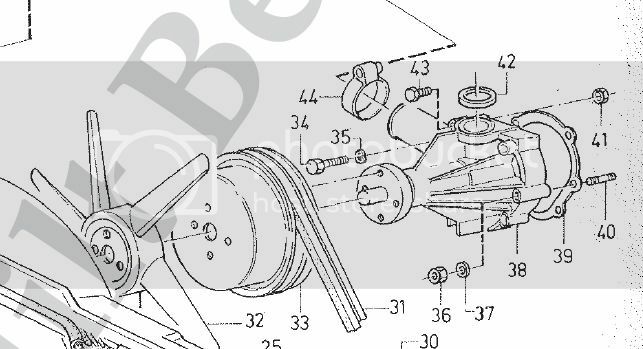 The bolt spacing on the pulley end appears to be different on the "old" versions and the water pump housing is longer. That can't be right, and what's making me a bit suspicious is that the manufacturers of the "early fixed fan" versions appear to say that it's a 200 / 700 pump which also fits 300s. That's unlikely, because of the "pump length" problem. They do look different. I may have just bought another spare for my fixed fan GLS then! At least it was only £12 delivered. I'd better not change the pump when I need the car in a hurry in case I have to order another for the later car. 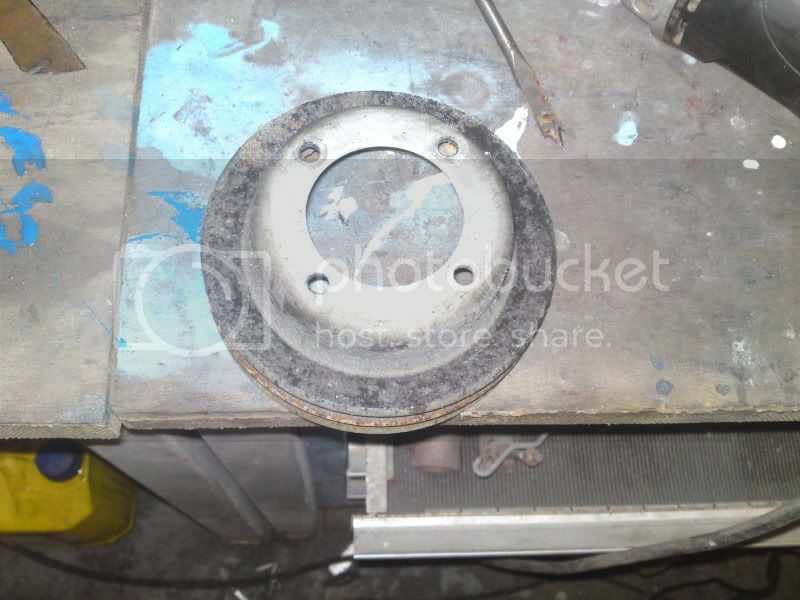 Have you got a picture of your "fixed fan type" water pump? 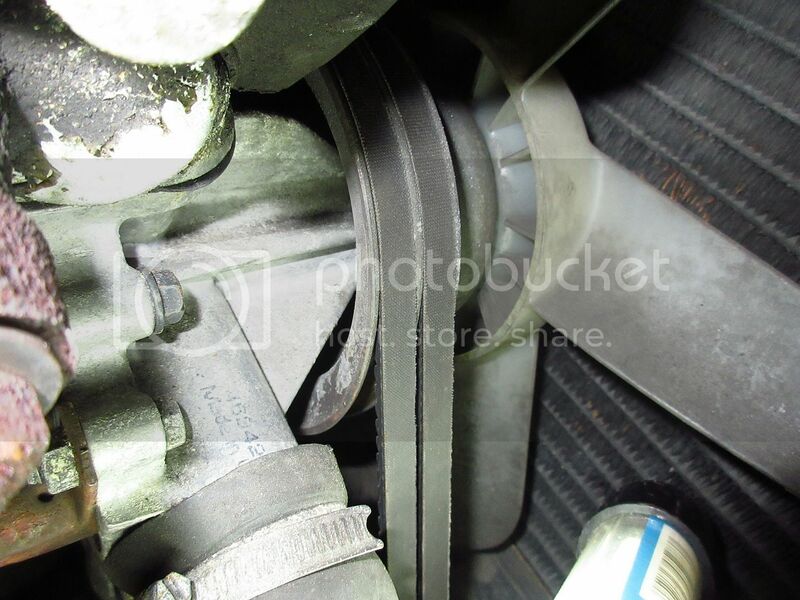 To be sure of the differences, I'd have to remove the fan, pulley and drivebelts from my car, so I did a bit of lazy googling instead. I'm guessing now that the two B19 water pumps are NOT interchangeable. Just by looking at the different shape of the flange (and the pilot in the middle of it) I don't think the two types are interchangeable. In order to fit the later type water pump, I guess I'd have to install the viscous type fan AND the later B19 pulley as well. Another theory I'd like to share: I'd always thought that ALL V360 water pumps were shorter than V200/700 ones, because of clearance problems. Maybe that's not true for fixed fan types. 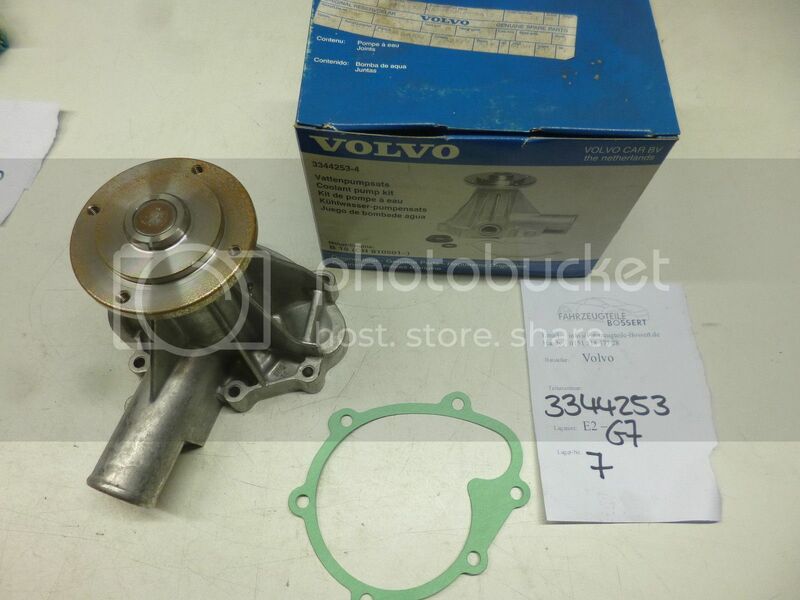 Maybe the viscous coupling got in the way, so Volvo thought it was a good idea to chop 2cm off the water pumps for their later 360s, and earlier pumps are easily interchangeable from a 240/740 from the early eighties. I don't know whether that's true or not, but it sounds feasible! Bugger, I've just bought an early type pump to fit a later fan At least I now have a spare for the green GLS, although that one was only done a couple of years ago. That's good to know Dai, thanks. It might be an idea to update your website on this, so people don't order the wrong thing? 1981 B19 carb "fixed fan"
1982 B19 carb "fixed fan"
1983 B19 carb "fixed fan"
1983 B19 injection "viscous fan"